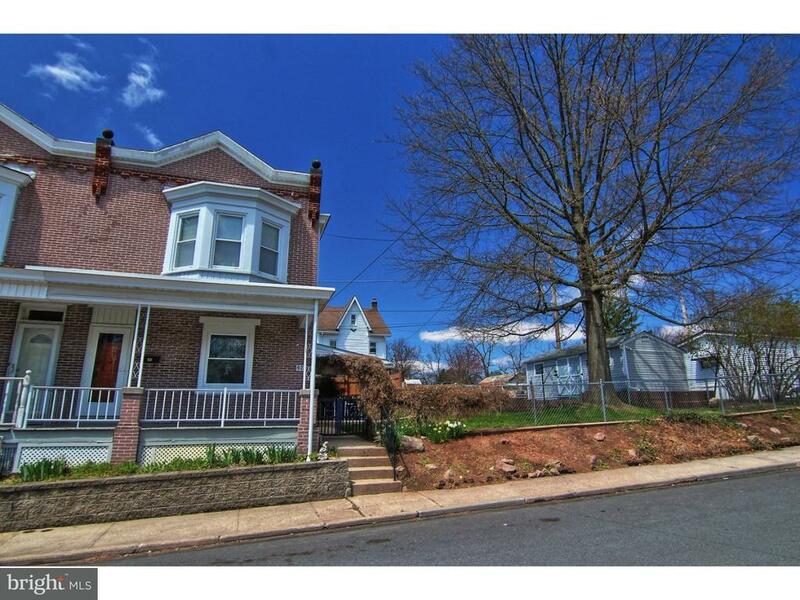 Lovely move in ready West Pottsgrove twin! You will admire the beautiful woodwork throughout! Enter the home from the covered front porch into the open living room/dining room. Sun fills the space through the replacement windows. Crown molding and decorative ceiling above. Newer laminate flooring makes cleaning a breeze! Continue through to the eat-in-kitchen featuring ample solid oak cabinetry. The convenient main floor laundry room with utility sink is perfectly located just off of the kitchen. Ascending the open staircase you will find 3 bedrooms. The updated full bath is located off of the one bedrooms so you could make this a master suite or an office/study with bath access. The additional two bedrooms are a good size. The middle bedroom was recently updated with laminate flooring and fresh paint. This home has a state of the art VERY HIGHLY efficient Buderus boiler. Helping to keep winter heating costs down! The nice side yard is completely fenced and there is a covered patio to enjoy spring evenings! Off-street parking as well as large storage shed with electric round out the amenities. Located conveniently to schools, parks, shopping and major routes. This neat, clean and well maintained home is ready for you!